If you’re one of the 1.3+ billion people living in India, you would be surprised to know there really are good-paying survey opportunities for you. However, you need to know the international survey sites that accept Indians and the specialty sites serving India / Asia that are worth your time. Some even have focus groups that pay INR 1,500 and higher per hour! Below is a list of more of the best paid survey companies. Most of them are US only. But some of them can accept you. Toluna is one of the best survey panels in the world. They send as many as three survey invites daily to their American users. For those in India, it’s still expected that you will receive at least a survey offer every one to two days. There are many great things about this company — number one is the fact that you can trust them entirely. They have been in business since 2000 and they now are home to roughly 10 million panelists worldwide. There are three prizes awarded in each of their monthly draws. You can earn entries to this sweepstakes by getting disqualified from surveys, or by buying them. You could win either a INR 15,000, INR 25,000, or INR 50,000 prize. And that’s not all … there is also this cool thing called the ‘Gifties’ exchange. You can spend your Toluna points on virtual products. In return, you get the chance to win the physical version of the item. The more you buy of the virtual product, the more chances you have to win it. You have a chance to win up to 50,000 every single month; if you are active here you are guaranteed to have a few screen-outs to win you entries. You can spend small points (ex. What’s left after you cash out) on sweepstakes tickets to win merchandise worth anywhere from $10 to $1,000 or so. There are tons of withdrawal options to choose from. They are legit, you don’t have to wonder about whether you’ll get paid. International withdrawals can take as much as 8 to 10 weeks to process. While the surveys are frequent, they are typically low paying and if you ever get disqualified mid-survey it will feel like a waste of time. The ‘Gifties’ program has more ‘awe’ factor than actual value. There are even many other odd ways to accumulate more points. For example, giving a ‘quality opinion’ can earn you as much as an extra 500 points per survey. Likewise, you can get a 100-point boost every time you do a profile or ‘personal interest’ survey. This might be a small reward, but all the little points add up quickly since there are new things to do every single day on Toluna’s site. Toluna has proven itself to be one of the best and most-respected paid survey sites on the Web. It caters to users internationally, India included, so as a regular panelist you should definitely have an account here. On average, a survey panelist in India that takes all offers as they come can expect to make around INR 10,000 to INR 30,000 monthly. If you get lucky and score a focus group invite, you could make well over INR 50,000 in a single month. Global Test Market has already awarded in the range of $40 million USD to its roughly six million members. They founded back in 1999 and they have long had a great reputation as one of most active survey sites around. The only downfall is that they aren’t quite as active as Toluna, nor do they pay as much as many other panels that you could choose. So you are getting a cross of decent-paying surveys and a relatively steady influx of paid offers. This makes it easy to build a balance up over a short period of time, but you won’t break the bank here. That said, you can still expect to cash in upwards of INR 6,000 per month if you work actively as a panelist for Global Test Market. There’s a frequent influx of paid survey offers, and also the odd focus group invite that gets sent out to their active panelists. They are completely legit, with around $40 million paid out so you know you don’t have to worry about whether your withdrawal will go through. Their surveys are quick and fun; if you’re going to get disqualified from a survey it usually happens right away so you don’t end up wasting your time. International withdrawals can take as long as 6 to 8 weeks to process, which is definitely a pain but it won’t be a big deal once you become a regular. You need at least a balance of $50 (in USD) in order to be able to request a withdrawal, which is a lot higher than most other international panels. Certainly Global Test Market falls in the same category as Toluna, for being one of the few great international survey sites worthy of your daily attention. You can bank a solid INR 4,000 to INR 6,000 monthly here by just taking on offers as they come to you. But with an Invoke focus group, you’ll quickly double that number. So InboxDollars is a hidden gem for anyone who lives in India. This site is so much more than just an online survey panel. It’s basically a ‘get-paid-to’ platform (with a good app) that rewards you for stuff like searching the Web, reading emails, watching videos, and so on. According to InboxDollars, the majority of non-U.S. members make their rewards through playing games, completing tasks and referring their friends to the site. You can make an estimated 10 rupees per 15 searches as well. If you do get a survey invite, you can expect it to pay around INR 200. You don’t have to rely on just paid surveys to make money, and there are multiple ways to earn every day so you can always increase your balance. If you master their referral program you’ll earn well, as you bank 10% on everything they earn after signing up under you. You need a balance of at least $30 USD (approx. INR 2,000) in order to make a withdrawal request. While there are many surveys that pay upwards of $5, you will also find quite a few surveys paying only $1 or even much less. Note: A fair number of users have reviewed InboxDollars saying that they don’t always value their surveys properly; one paying INR 50 might take 30 minutes while another paying INR 200 could take 10 minutes instead. InboxDollars is great because they have many tasks that pay at least INR 50 to INR 500. These are tasks that can be done every day, so your balance just grows and grows. You stand to make a solid income every month off here if you become a regular. In fact, quite a few InboxDollars users from India make in excess of INR 7,500 every year. SurveySavvy is one of the best paying survey sites around. They opened their doors back in 1999 and as of early 2013 they had already paid out over $18 million. What makes them special is their low withdrawal minimum; you just need a balance of at least $1 to make a withdrawal. This is quite possibly the lowest cash-out requirement you will find at any survey site on the Web. Their surveys pay very well — $4 to $6 is just the tip of the iceberg, there are many reviews that claim they award as high as $50 per completed survey! If you get any friends to sign up under you, then you get to enjoy an unlimited 15% on what they make. Their withdrawal minimum of $1 USD is ultra-low, and essentially it means you can get paid immediately after getting credited for each completed survey. It can take as long as 6 to 8 weeks to process your withdrawal. Most of their surveys are longer (even though they pay more) so you have to be sure you can sit down for 30 to 60 minutes at a time. Sometimes you can go many days without getting a survey invite. SurveySavvy is indeed one of the best-paying survey panels on the Web. They just aren’t as active as the likes of Toluna and Global Test Market. You definitely want to have an account here. Since they pay very well, you will find yourself grabbing every offer that comes your way. This is one of the lesser-known survey panels on the list. They send out fun surveys, for example they have frequent beer surveys, and most of them don’t take long to finish. It’s difficult to earn a huge amount off this site but you can still manage a withdrawal every month or so. It also only takes a week or two to get paid, instead of the roughly two months it can take elsewhere. There’s an instant registration bonus worth INR 100 that gets credited to your account once you sign up. The withdrawal minimum is only INR 250, which means you just need to earn INR 150 to make enough for your first cash-out. They only pay INR 10 per referral, which isn’t very rewarding at all. There aren’t as many survey invites as you would like, and sometimes you could go a whole week without receiving any offers. Overall, OpinionBureau is a worthwhile survey site to join if you’re from India. You can’t expect to make a whole lot here, but when the times are good you’ll rack up a decent amount in the course of a month. Since their withdrawal minimum is super low (INR 250), you don’t have to mess around waiting to cash-out if things do quiet down here. OrmaxWorld is not known by many Indian panelists at all. It’s a survey panel ran by Ormax Media, which opened in 2008. They tend to focus on media-related surveys, like ones about celebrities. They are usually short and quick too. Some of their partners include AOL, Castrol, Cadbury, Coca Cola, P&G, and many more. You can cash out as soon as you have at least INR 300 (via BookMyShow.com), which isn’t hard to earn. They also offer Flipkart virtual gift cards (minimum: INR 500), which works great since this store is basically India’s variation of Amazon. The withdrawal minimum is low (INR 300) and easy to earn. The surveys are always fun and they don’t take long to complete. This is a survey site that caters specifically to Indian panelists. This isn’t a super popular survey site, so you can’t expect to get many survey offers from here. While their surveys don’t just pay a few rupees each, you won’t find any that award in excess of Rs. 500 per. You are stuck getting paid by BookMyShow or Flipkart, which means there aren’t any cash-equivalent payment options. OrmaxWorld is definitely one of the most promising survey sites in India, outside of the international panels we’ve recommended for years. They aren’t very well-known, but the fact that their paid survey site is located on a sub-domain (online.OrmaxWorld.com) could be part of the reason for that. AIP Online is another not-so-popular survey panel, but they are ran by AIP Corporation which opened up in 1997 and is now a leading market research provider in Asia. They cater to the Indian audience specifically, which means their paid surveys aren’t so much of a hit-and-miss game. Why? It’s simple, it’s because you are less likely to get screened out from surveys than you would be with an international panel. But that comes at a cost, as you won’t get nearly as many survey invites on here as you would at most of the other sites on this list. You can request a withdrawal after you have at least Rs. 100 in EPoints. They allow you to withdraw by PayPal, or through a voucher from FlipKart, India Times or Lifestyle. Their surveys are tailored for Indians specifically, so you don’t have to worry about getting disqualified as much. You will only get survey offers every once and awhile; you can’t expect many surveys per day or week on here. There aren’t any alternative special perks (like sweepstakes or other paid tasks), so unless the panel itself grows you won’t see a huge income from here. The AIP Online survey panel is definitely one of the most promising survey sites for Indians, and for Asians in general. It will be interesting to see if they can expand themselves to the point where surveys are regularly disbursed to their panelists. For now, they are just one of the many sites that are decent (and tolerant to Indian applicants) so we recommend you join here only if you plan to do as many surveys each day as you can. Valued Opinions has been around since 1999 and they’re now home to around one million users worldwide. They are mostly known by the regular survey takers. However, even many daily panelists don’t have any knowledge on how this company really works. So it’s a bit of a hidden secret, and it would be one of very few international survey sites that accept Indian users where you don’t compete with millions of others. The only thing is that you’ll most likely get a maximum of one survey offer per week here. As an active panelist, you have the chance to get invited to paid product testing opportunities. You only need a balance of at least Rs. 400 to make a withdrawal request, which isn’t too much even though their survey invites are limited. Capping out at one paid survey offer per week isn’t ideal, and it means that you cannot depend on this place to provide much income each month. Your only withdrawal options are an Amazon.in gift card, a Flipkart virtual gift card, or a voucher to Ticket Compliments. Valued Opinions is a growing international survey site that might become a regular panel to do surveys for in the near future. They may only offer about one survey a week right now, but the frequency of paid survey invites should only increase from what it is now. ACOP stand for American Consumer Opinion panel, which is an international survey site with a mixed reputation. They are backed by Decision Analyst Inc. which also owns Contractor Advisory Board, Medical Advisory Board, and a handful of other market research companies. The biggest complaint people have had with this site is an unexpected delay in their withdrawal request. Some members have even reported waiting multiple months before finally getting paid. This is definitely not an appealing thing to learn, but people still seem to get paid. You are waiting 6 to 8 weeks, or even 8 to 10 weeks, to get your withdrawal from an international survey site anyway, so it’s an issue you might be able to look past. They are an international survey site with semi-frequent offerings available to their Indian users. Their withdrawals are usually processed slowly; it could take as much as a few months before you get paid out. Their customer support is lacking, so when a withdrawal takes a while you’re left out of the loop and wondering if you’ll ever actually get paid. ACOP is a place that has gotten a lot of flack, and a fair bit of it is deserved. However, they have established themselves as one of the top-20 or so panels that operate on the global scale. If they ever get bought out, or if their management makes a few changes, they could quickly be one of the best around. Paid Viewpoint is ran by AYTM (Ask Your Target Market) which is a fast-growing market research company. They offer paid surveys to many panelists across the world, including those who live in India. However, regardless of where you are, there’s one big weakness with this site: there simply aren’t enough surveys. You end up spending all your time doing simple profile / interest surveys instead, and they don’t pay much at all. There’s almost always a new Trait Survey to do, and doing them increases your odds of getting invited to a better-paying survey offer. Their surveys are always short and simple, and usually fun to do. Currently, there aren’t very many survey offers that are sent out to their panelists regardless of where they’re located. Their surveys typically don’t pay much at all; most of the time you will be lucky to make over INR 100 off a single one. Paid Viewpoint is basically halfway to being a top quality survey panel. We recommend that you consider them still as there is a high chance that they will see strong growth in the coming years. But, you don’t need to check in daily to see what’s available as the place is currently a bit of a ‘ghost town’ sadly. When you’re from India, you have an unfair shot at making money online. It’s true, whether you want to make money from paid surveys, affiliate marketing, writing, or anything else. There are many people from India working online and in the paid survey field the clients typically don’t care to pay for their information. So the opportunities are limited and you tend to take survey opportunities as they come up. You could still make a decent amount each month if you played your cards right. But, you have to really stick to the right sites — and most people don’t know which they are, but the list here should set you on the right path! However, there are probably some other things you want to know. We’ll do our best to answer some of the questions you might have. If your answer isn’t below, just comment on this post and one of our experts will get back to you ASAP. How do survey panels pay out in India? Just like anywhere else in the world, there are many options for how you can get paid once you earn enough on a survey site in India. The amount you need to withdraw from an international panel might be more than what an American has to earn before cashing out. And, the withdrawal time might be slower; but you’ll still get paid in the end. In some cases, you can even withdraw via a prepaid VISA card. This is a great option as it works just as well as cash and you can even use it to shop anywhere on the Web that accepts VISA cards. What are the best survey sites that pay by PayPal? PayPal is the simplest withdrawal option, especially when you deal with a company that isn’t actually in India. It saves you from running into issues when cashing their check, and then you aren’t limited to buying stuff with gift cards. From our list of the best paid survey sites in India, the following companies allow you to withdraw via PayPal once you meet their minimum: Toluna, Global Test Market, InboxDollars, SurveySavvy, OpinionBureau, AIP Online, ACOP, and Paid Viewpoint. What does the average online survey pay in India? You can expect to make anywhere from INR 50 to INR 500 for most online surveys. There are some that pay upwards of INR 3,300 as well. If you get a focus group invite, you could even make over INR 6,000 for just an hour or two of your time. However, it is more important how long each survey can take; on average you will make INR 250 to INR 750 per hour as an online panelist. How much can you make a month doing surveys? At the rate of INR 250 to INR 750 per hour, you could fare to make about INR 1,000 to INR 2,000 each day you do many hours of surveys. This might not sustain for a whole month straight, as your average lowers once the best-paying sites can’t produce more work. However, many people in India manage a monthly income of INR 25,000 to INR 50,000 from doing paid surveys online. Do you need to pay to register for paid surveys? If a survey site expects you to pay anything to them, it’s almost certainly a scam. These companies make money off getting your opinion on things. They want to compensate you and there are no legitimate survey panels that request payment to join. 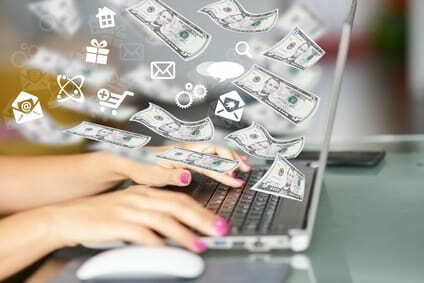 The sites you see that request funds to become an earning member are just trying to manipulate those who desperately want to earn money somehow. Don’t make the mistake of giving your money away. The same rule applies if you ever look for transcription work, as many scam companies try to make you pay them to get work. How do you know if a particular panel is a scam? There are many ways you can vet a survey panel. Firstly, you can check with the Better Business Bureau to see if there are any major complaints against them. Then, you can see if they are CASRO verified, but this isn’t a hard requirement. Next, you can check for a review on our site or on one of our leading competitors (ex. SurveyPolice or TrustPilot). Usually you will be able to get a good idea on what to expect from a particular panel by doing these three things. If you still aren’t sure, you can also do some unique Google searches to find out what kind of experience others have had. For example, you can search “surveysitename.com” inurl:forum — this would show any mentions of the panel in online forums. If it’s a popular enough panel, you can add terms like “withdrawal” , “scam” , and “problems” to get a feel for the site’s high and low points. Why are some of these sites denominated with $USD? Do you know more legit paid surveys in India? help us improve our list. Post a comment below.